My sons are my heroes. They keep up their spirits despite having Becker’s Muscular Dystrophy and cardio myopathy. One of their dreams, is a hope for a cure for this debilitating disease. They were healthy, active children into their early teens. Tom was 17 when he told me his chest “felt funny” after playing basketball. I took Tom to the doctor never dreaming that he would be diagnosed with cardio myopathy and Becker’s Muscular Dystrophy. Tom’s 13-year-old brother, Tyrus, was then tested. He too was diagnosed with Becker’s Muscular Dystrophy. In 2011, Tom’s heart deteriorated to the point that he needed a heart transplant. Due to Tom’s rare blood type, he was in the hospital for 10 months waiting for a match. He and his doctors eventually decided that the best option would be open heart surgery to implant a ventricular assistance device (VAD). Being in the hospital for such an extended period, weakened Tom to the point that he frequently fell. 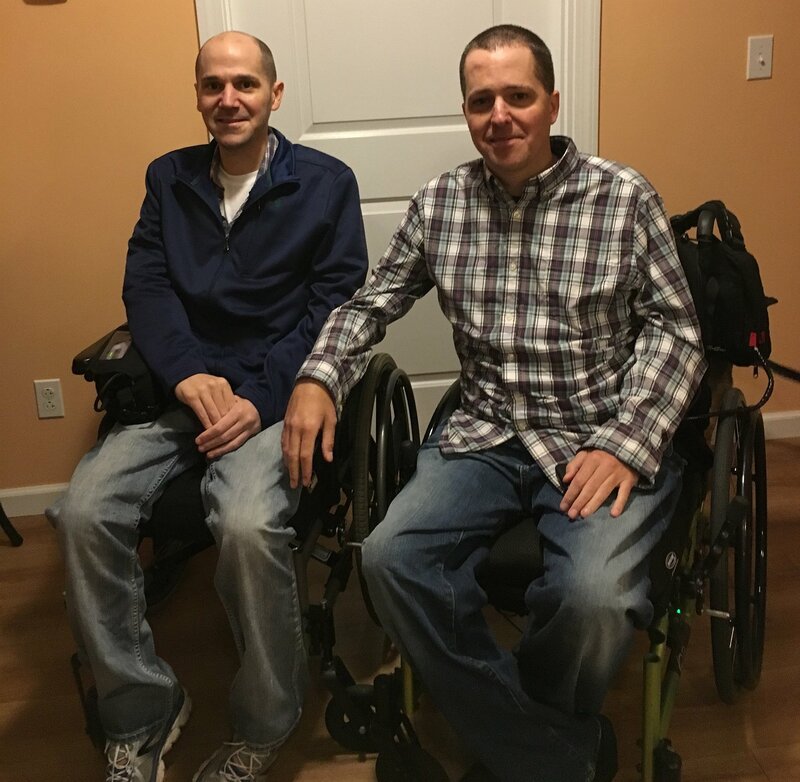 He went into a rehabilitation hospital, but, despite his best efforts, he never regained his ability to walk and is now permanently confined to a wheelchair. In August 2017, Tyrus had a heart test which showed his heart was working at only 15% capacity. He immediately went into the hospital. Because he has the same blood type as his brother, he too had surgery for a VAD implant. He could barely walk before the surgery. He too is now confined to a wheelchair. I am asking everyone to please donate to help Hope Live in honor of Tom and Tyrus. It is our dream to purchase a handicap van. This essential vehicle will make such a difference in their lives. They will be able to drive themselves to physical therapy, doctor’s appointments, or just take a ride to get out of the house. Thank you in advance for any amount you are able to donate. Hope this donation brings you a little closer to getting your wheels !!! Best of luck Tyrus and Tom! Hope you are able to get the vehicle you need! Love you all! I remember Tom visiting with my sons in Suffield - Mark and Bob Young. Wishing you much success on raising the funds you need for your van.